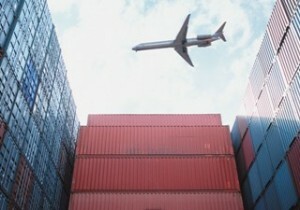 Various companies are discovering the potentials benefits of shipping via ocean rather than air. The shift from air to ocean shipping has become a trend particularly within the technology industry. Businesses that make the switch tend to do so because of ocean shipping’s lower transport costs, and it is likely that we will see more companies make the switch for the same reasons. Since the economy is still in a precarious state, businesses are seeking out cost-savings even if it means sacrificing other efficiencies. Logistics managers are being pressured to reduce their supply chain costs and when switching to ocean freight rather than air freight can result in a significant cost reduction, it is a logical choice. Ocean freight is predicted to increase as more companies become more comfortable with the practice. They will learn to adjust the rest of the supply chain in order to benefit from the cost savings, and after those adjustments have been made there will be little reason to switch back to air freight until the economy bounces back and demand changes significantly. Industry professionals predict a growing trend towards ocean freight for the next two to three years before things may shift back towards air freight preference. They have also stated an explanation for why the technology industry seems to be leading the way in making the switch to ocean freight. The overall cost impact of air shipping is less for lighter cargo (such as pharmaceuticals) because air cargo costs are based on weight. Cost savings on heavier technology products were more pronounced. It is important to point out that ocean cargo growth did not necessarily mean economic growth in 2012. Any growth in ocean cargo was met with similar percentages of decline in air cargo, which suggests that there was simply a shift in shipping trends rather than overall shipping growth.